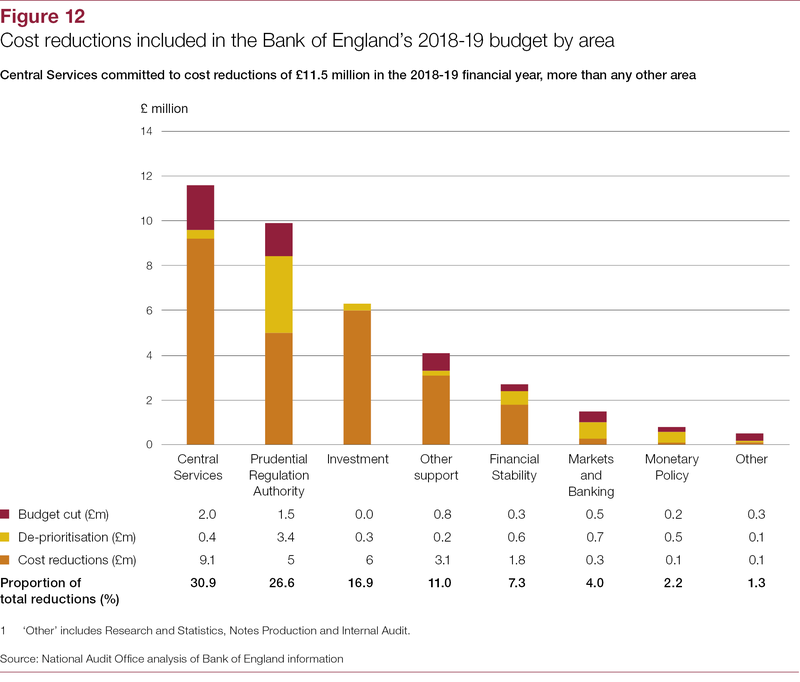 The Bank of England (the Bank) is the UK’s central bank. Its core mission is to “promote the good of the people of the United Kingdom by maintaining monetary and financial stability”. 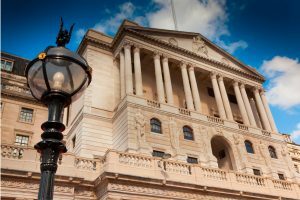 In practice it has a wide range of differing roles including: setting monetary policy; setting policy for financial stability; supporting financial markets and the settlement of transactions; and prudential regulation (since 2013). 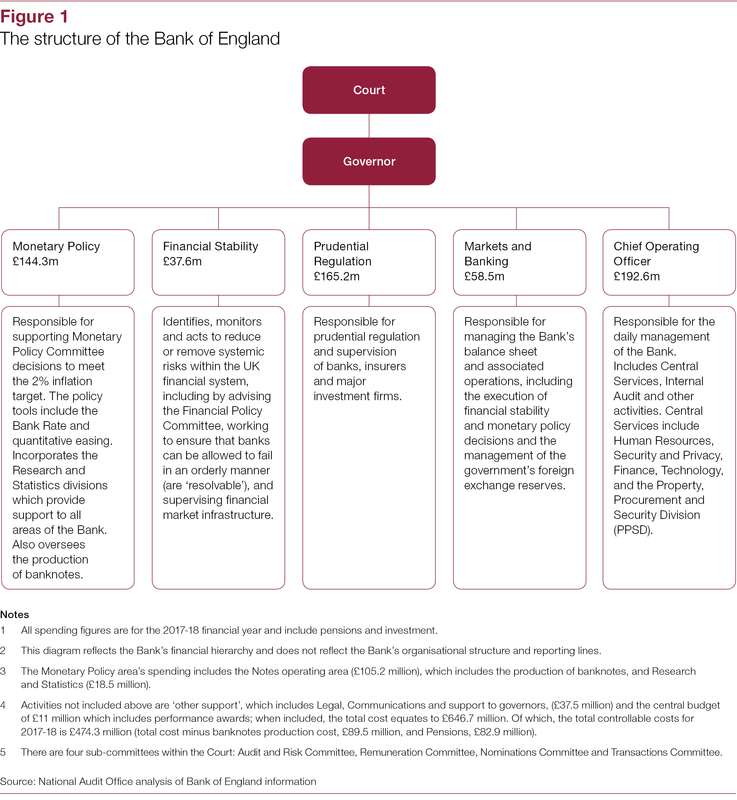 The Bank has updated its strategy to include what it wants to achieve by 2020. 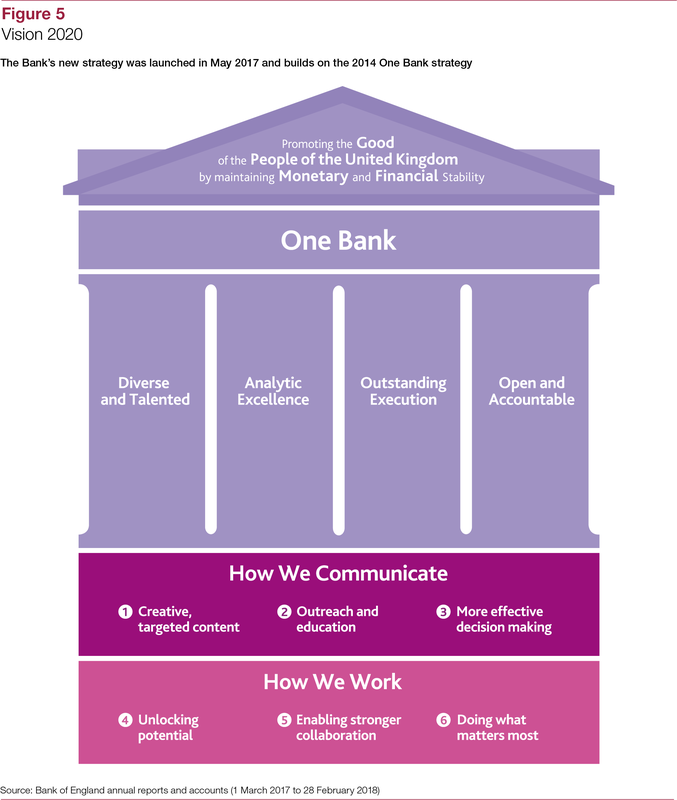 ‘Vision 2020’ identifies two key areas for the Bank to improve its effectiveness: the way it works and how it communicates. 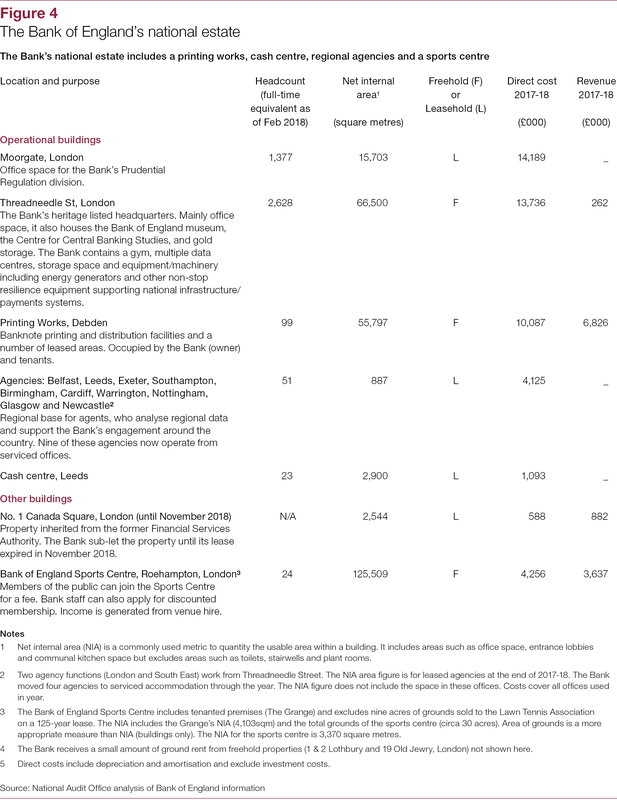 Separately the Bank has committed publicly to containing its costs and has set internal targets. 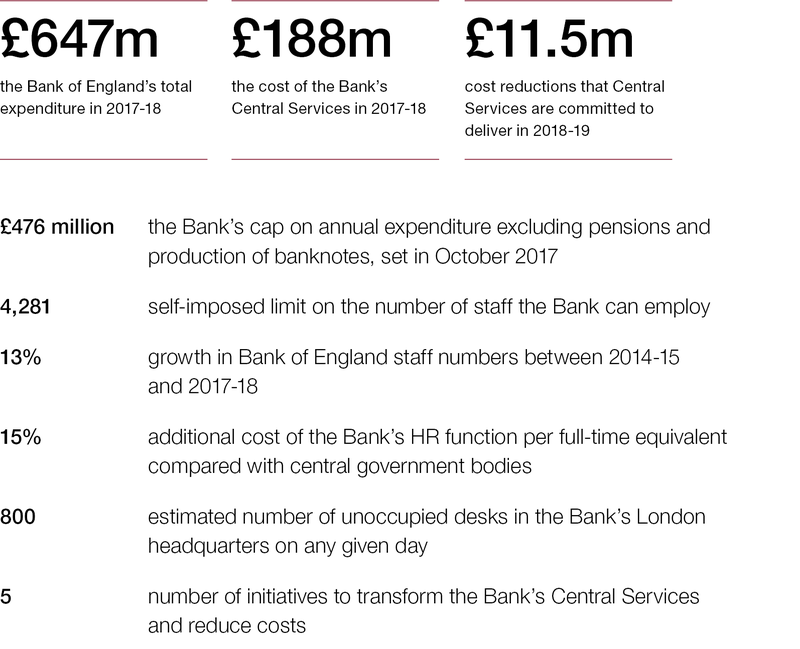 The Bank’s Central Services division (Central Services) has an important role in facilitating the changes needed to enable the Bank to work more flexibly and control costs. 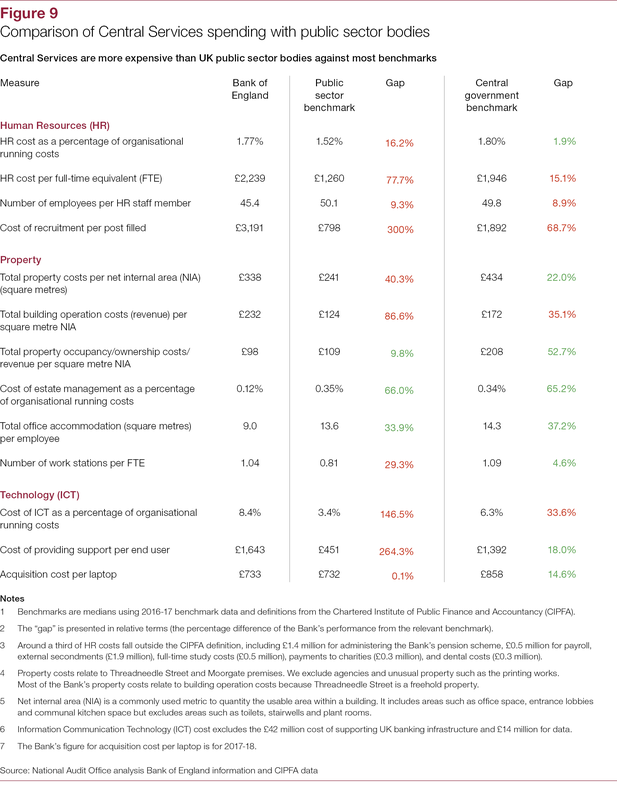 Central Services is responsible for Human Resources (HR), technology, property, procurement, security and financial management. 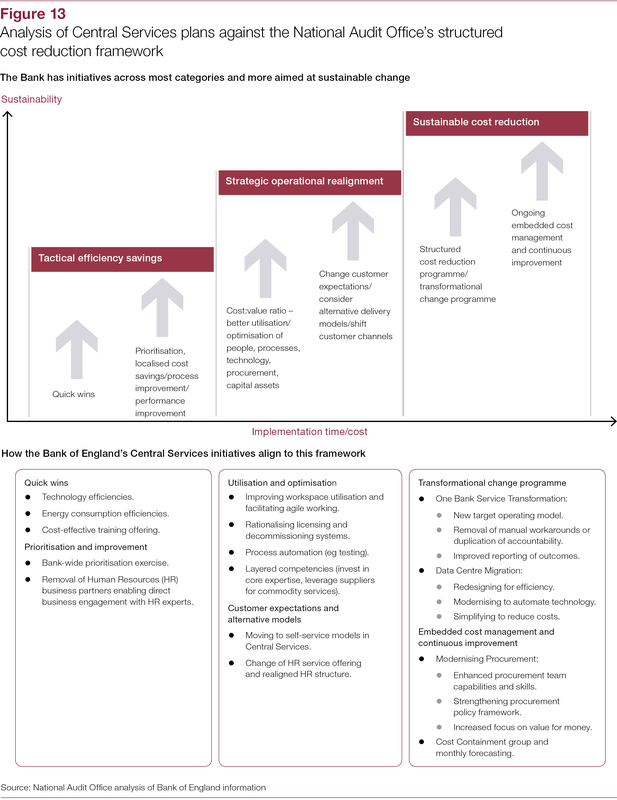 This report examines whether the Bank has a sufficiently ambitious strategy for developing efficient and cost-effective Central Services appropriate to support the Bank to deliver change and control costs. 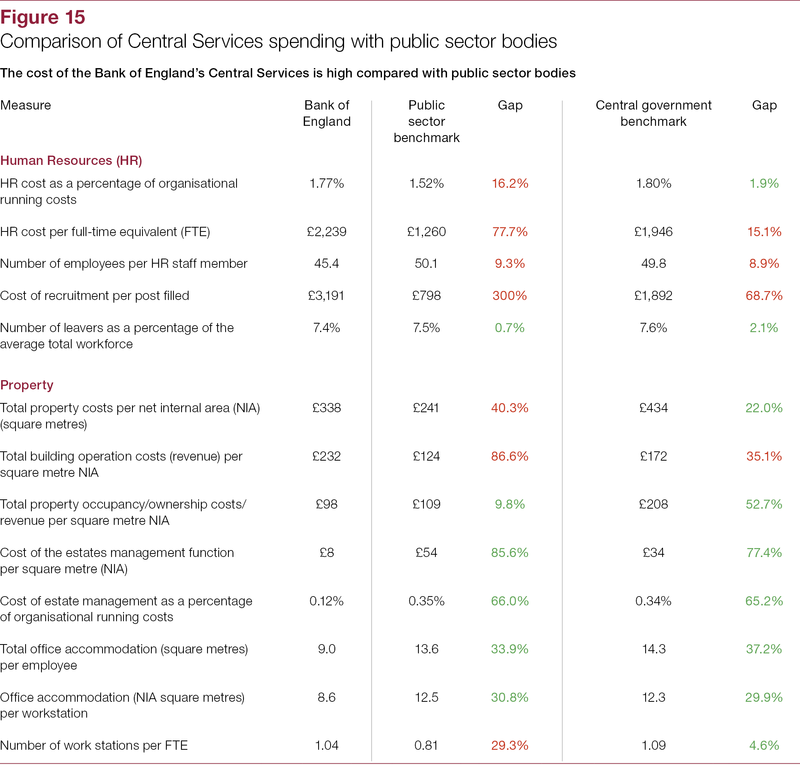 We set out the role of Central Services (Part One) and assess how the Bank is improving Central Services (Part Two). 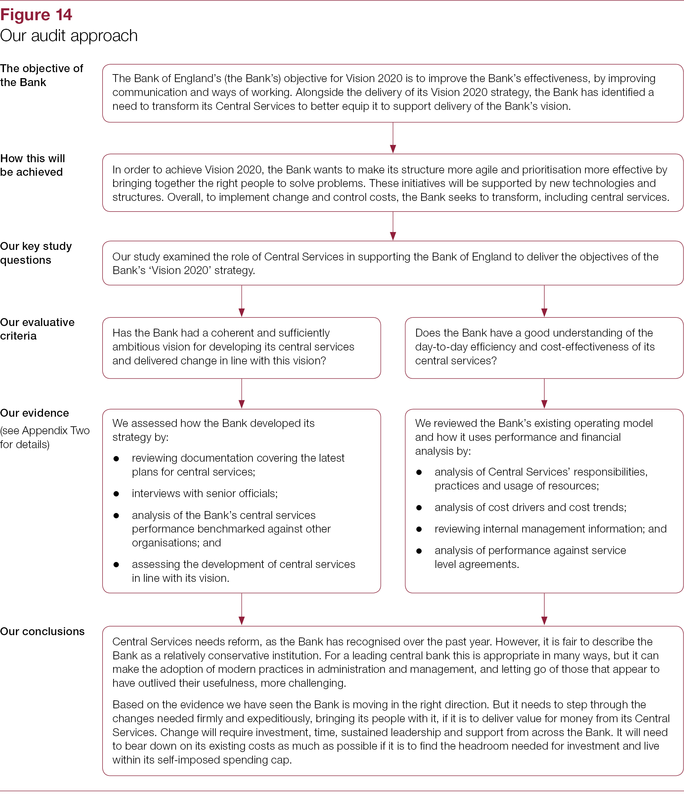 We do not assess the merits of the Bank’s strategic objectives. 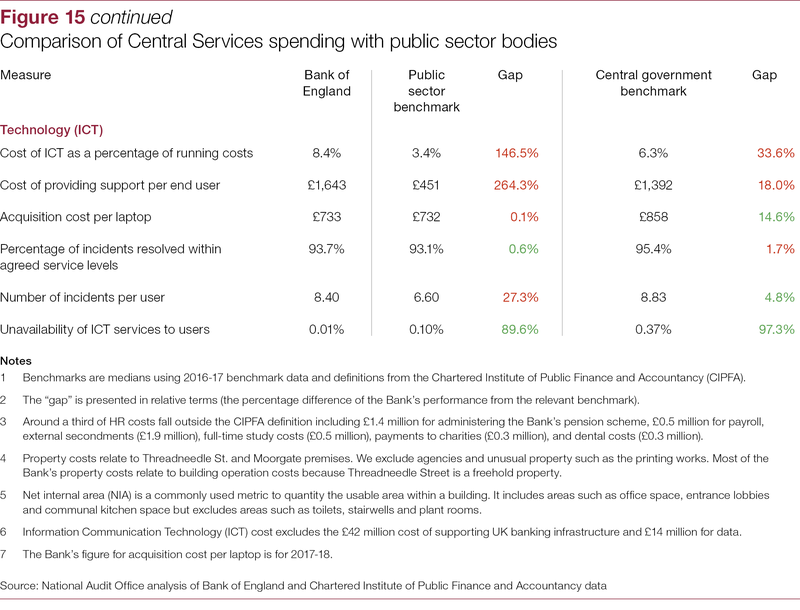 Central Services needs reform, as the Bank has recognised over the past year. 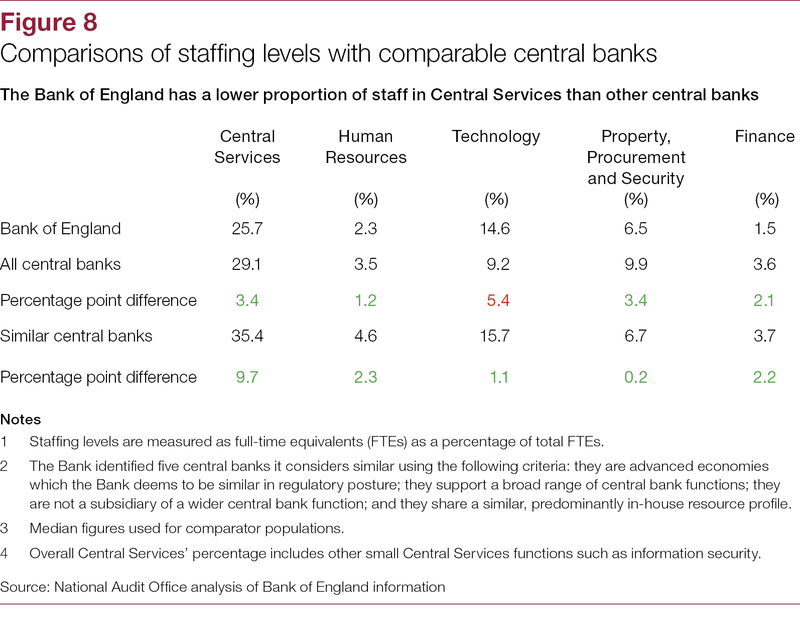 However, it is fair to describe the Bank as a relatively conservative institution. 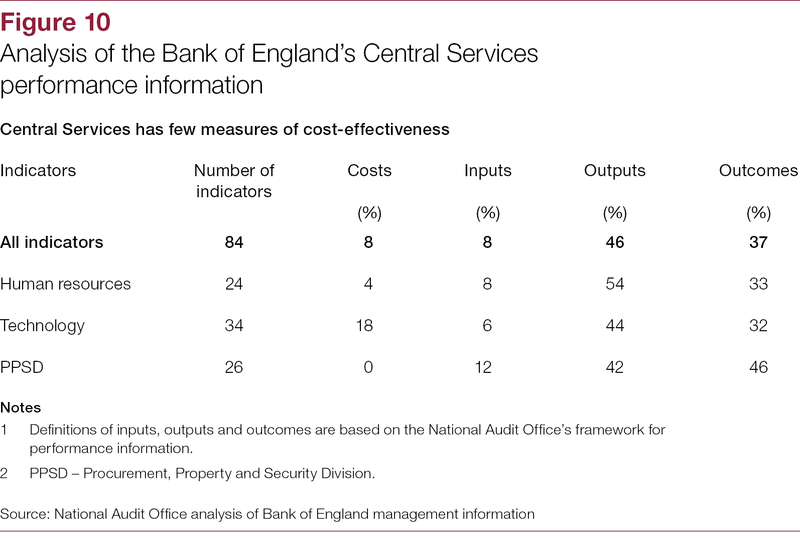 For a leading central bank this is appropriate in many ways, but it can make the adoption of modern practices in administration and management, and letting go of those that appear to have outlived their usefulness, more challenging. 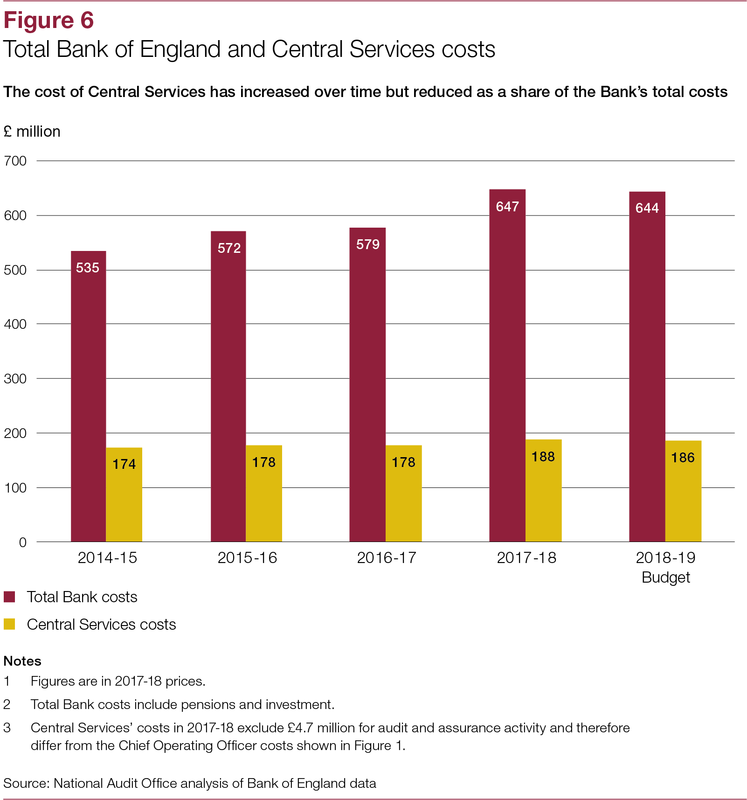 Based on the evidence we have seen, the Bank is moving in the right direction. 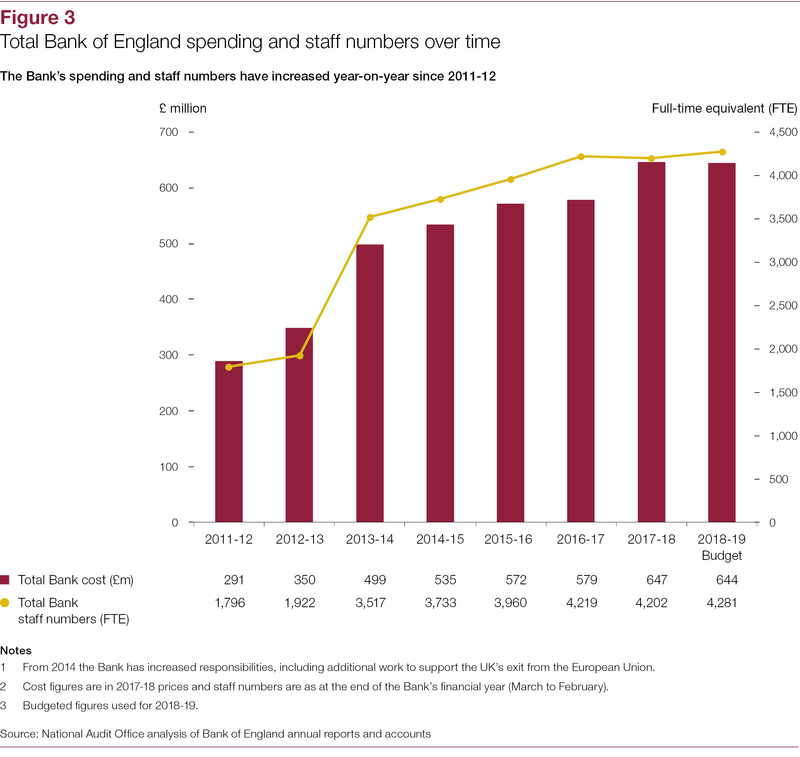 But it needs to step through the changes needed firmly and expeditiously, bringing its people with it, if it is to deliver value for money from its Central Services. 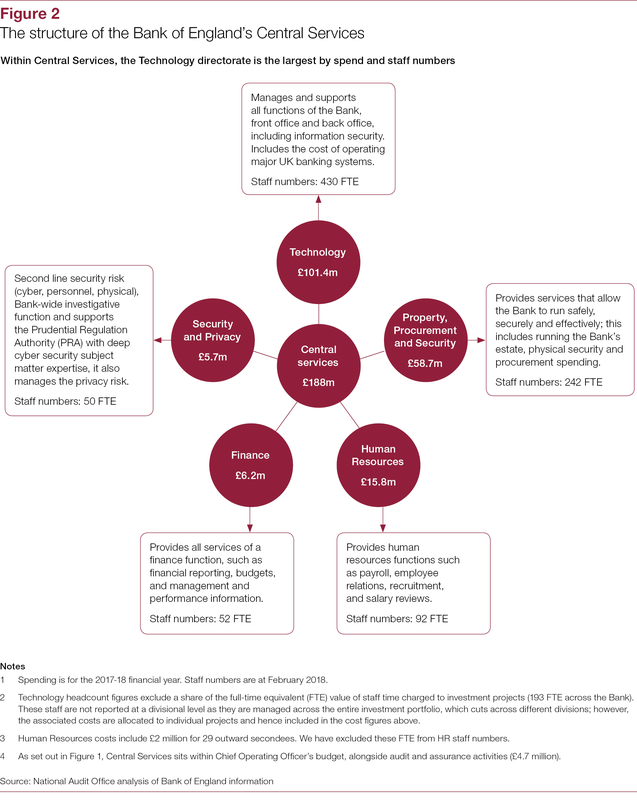 Change will require investment, time, sustained leadership and support from across the Bank. 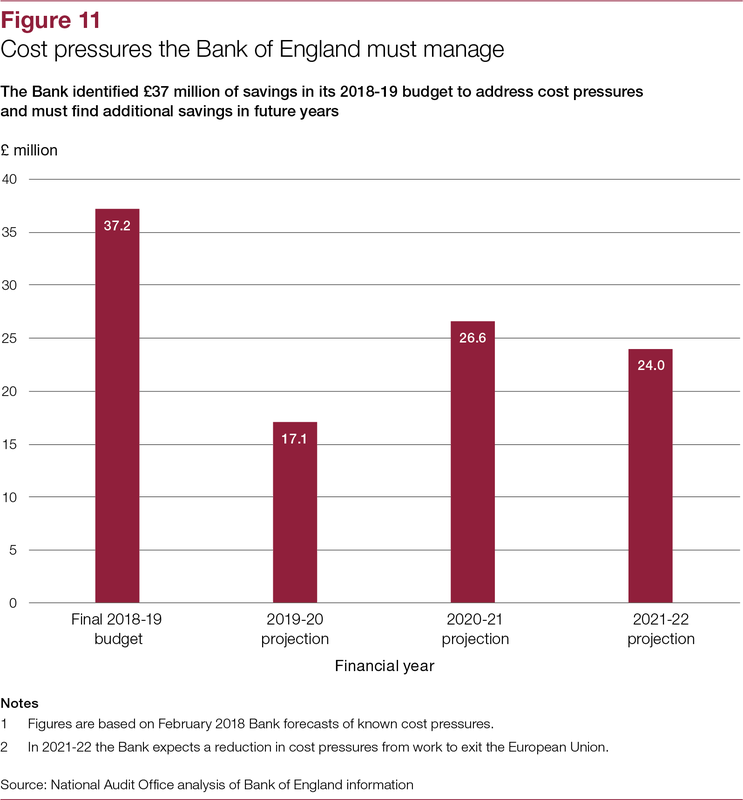 It will need to bear down on its existing costs as much as possible if it is to find the headroom needed for investment and live within its self-imposed spending cap.